Encouraging co-curricular activities among the students through cultural programs, interactions with other on-campus clubs of BUET, etc. Increasing interaction between the teachers and students through regular discussions with teachers and selected class representatives, talk shows etc. Increasing interactions among students of different sessions through different activities. Inculcating into the students the true essence of Civil Engineering and their role as engineers and motivating them towards the accomplishment of their goals. Every undergraduate student of the department of Civil Engineering is a member of this association. This association does not operate with any elected student body from the department Rather the responsibility of its operation passes on from some selected students by the moderator of one senior batch to the other. Dr. Md. 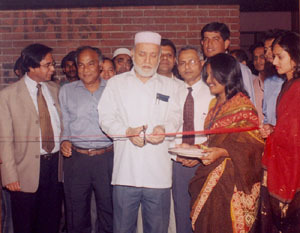 Mahfizur Rahman is currently the moderator of CESA. 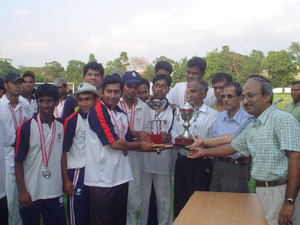 Professor Mizanur Rahman Cup Inter Faculty Cricket Championship: Faculty of Civil Engineering won all the championships except in 96-97 and 2001-2002 championships since 1991.